How to recycle a thrifted purse this Summer, a new DIY tutorial from Steph, whose last project: how to geometric earrings made my life complete. I’m a firm believer that Memorial Day definitely marks the beginning of Summer, more so than the “official” season change in June. School is getting out, theme parks and pools are opening up for the season, and shorts and sundresses are essential. It’s summer! Let’s make sure our handbag says its so, too. 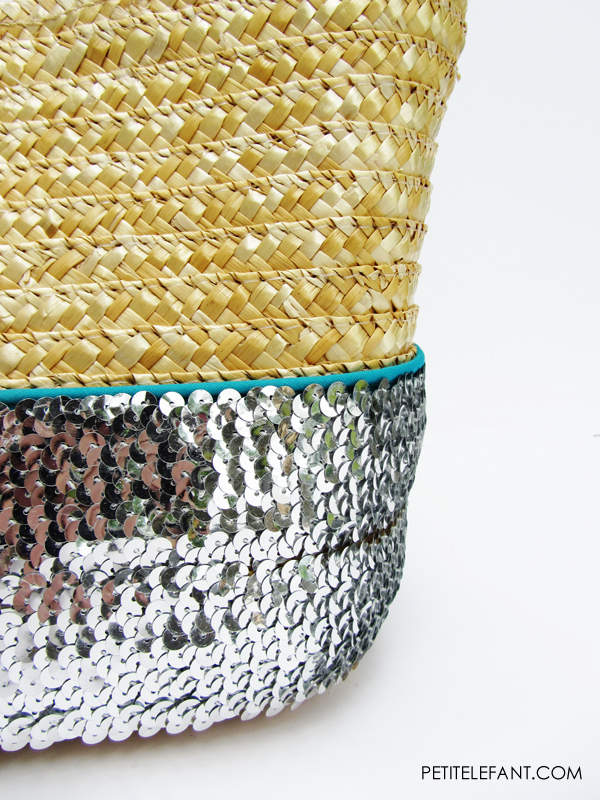 I have a simple how to DIY project you can do in an afternoon to give a plain straw bag some Summer-time glamour. 1. Decide how to put the piping on your purse, where you want the top to go on the bag. This bag had a natural line for me to follow which made gluing super easy. If you don’t have an easy line to follow, you may need to measure a line around the bag, so you glue everything on straight. I chose to go not-quite-halfway-up-from-the-bottom (talk about a precise measurement). 2. Lay the piping on the glue. Pin in place while you move around. 3. Once you get all the way around, pull apart one end of the piping and cut out the cord so the two ends of the cord meet and lay flat. Fold over the extra fabric around both ends and glue down. This will give your piping a nice, clean finish. 4. 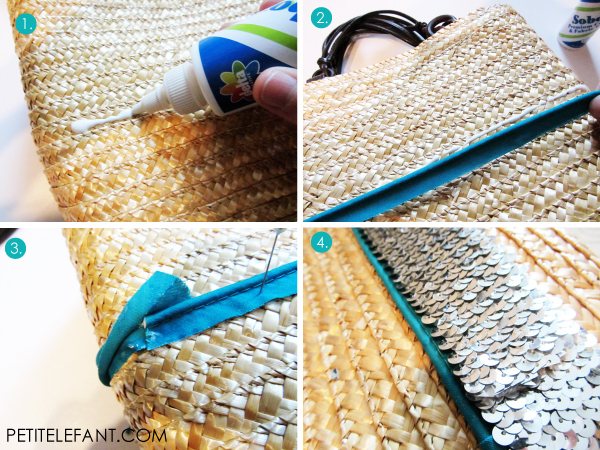 Glue the sequin trim around the purse just under the piping. I did this two times. Pin in place if necessary and let it dry completely. Does this bag scream summer or what? 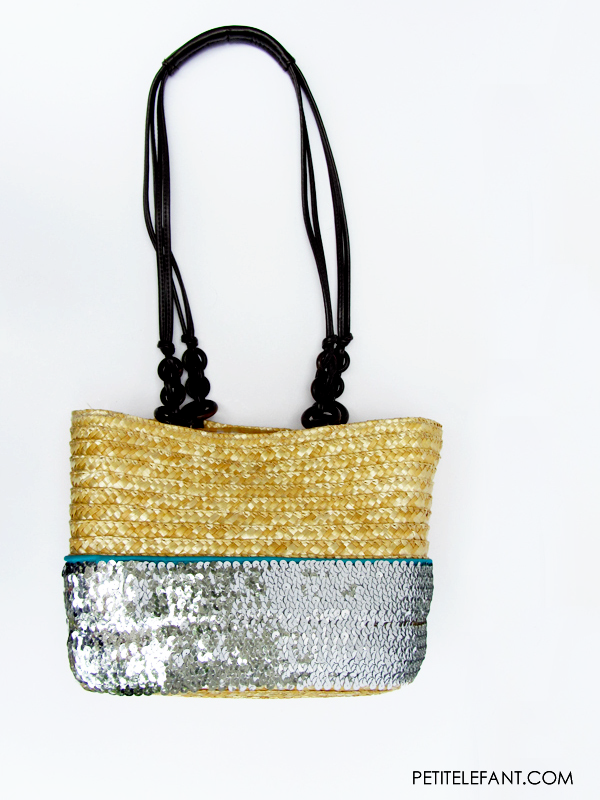 I love the bright colors and mix of textures on this bag. See? I told you that was easy. What are you waiting for? 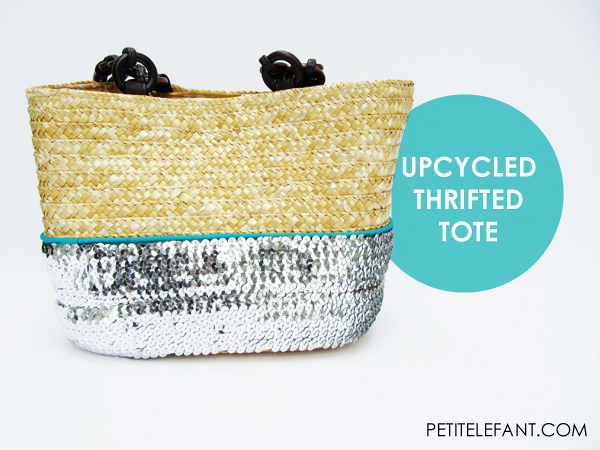 Go get your straw tote and get it glamorized for Summer, pronto! Happy Crafting and Happy Summer now that you have new how to craft!